The organizers of the FOR symposium remain active in organizing the information collected during our symposium on October 2nd and 3rd. As indicated at the meeting, this website will remain a primary vehicle for communicating with those interested in the future of research, at least while we finalize the output from the symposium, and perhaps beyond. We wanted to provide an update on the status of our plans, to ensure that everyone involved can continue to track our progress, and to participate. Prior to the symposium, the open-access journal F1000Research approached the organizing committee with an offer to publish the summarized proceedings of this event, and that is the document we’re currently generating. The aim is to provide a detailed record of the ideas discussed that will communicate to the scientific community the current opinions of Boston-area researchers about the structure of US science. F1000Research is a relatively new journal, with a focus on rapid publication and post-peer-review commenting from the research community. We believe that their site will provide a good forum for a full report of the symposium, and are preparing a manuscript for submission within the next few weeks. Once we have completed and published the detailed report, we are planning on using it as a citation in shorter, more targeted documents that can be directed towards other audiences, including letters to other journals, academic organizations, and funding agencies. Our idea is to generate a concise document summarizing the more pressing concerns and actionable recommendations voiced by participants at the symposium. We will tailor this message to the relevant parties and forward them as part of a broader effort to draw attention to these important issues regarding the current state of science. We hope that this advocacy will provide direct benefits to the research community beyond what simply reporting our findings internally would accomplish. In addition, we are discussing long-term steps to continue the conversation around shaping the research endeavor. One of our members is taking the lead in establishing the Future Of Research as a permanent nonprofit organization, which will allow us to maintain a presence and organize more discussions in the Boston area, and perhaps beyond. 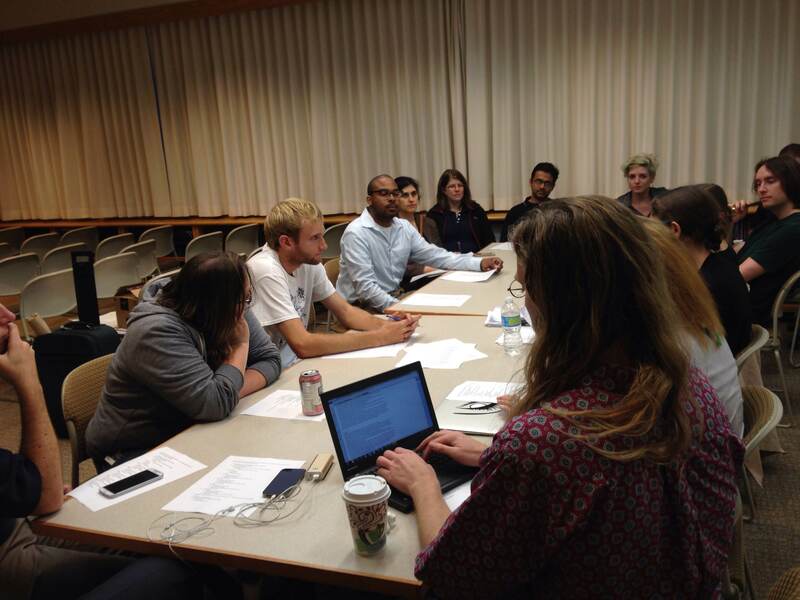 We envision periodic, smaller-scale meetings to continue to exchange ideas about grad student/postdoc life, the efficiency of research, and the place for basic research in the broader context of society. We’d like to expand this conversation to consider topics that affect science funding and communication, but that we couldn’t fit into our original two-day symposium. These efforts are in an embryonic state, so stay tuned for future developments. Lastly, we’d like to remind any interested parties that the summary of the symposium and our future direction remain evolving processes. As a small, informal group of professional researchers, we don’t have concrete rules about how to proceed or how to best amplify our message, so if anyone wishes to participate in future meetings or lend a hand in crafting these documents, you are welcome to contact us via the email on this site. Greater involvement with the research community is welcome. You guys did a wonderful job of organizing the symposium, and I am delighted to hear that you’ll make this effort a permanent nonprofit effort. In the latter regard, do think hard about how to maintain momentum. That may involve long-term input from organizers of the symposium, after their postdocs are over and they have migrated to positions elsewhere. It might be useful to foment change by exporting the idea by inviting postdocs (and students?) in other cities/institutions-outside-Boston to form chapters of FofR. Whatever you do, keep it going! Thank you so much for your great talk, and thanks for the suggestions. We are currently working on setting up a 501c3; working on writing numerous follow-up publications; and are in contact with various groups of postdocs both in the US and abroad to begin regional discussions and co-operation. We are grateful for your encouragement, and your support!